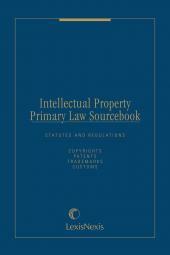 Mealey's Litigation Report - Intellectual Property covers all areas of intellectual property litigation including copyright, patent, trademark, trade dress, trade secret and unfair competition disputes, both in courts and before administrative bodies. Coverage also includes issues related to the Internet and disputes over insurance coverage for intellectual property suits. 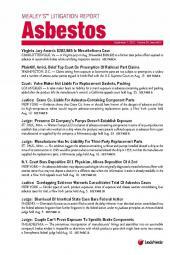 This report features unbiased news stories, case summaries, attorney listings, and the full text of court documents. Subscribers also receive expert commentary articles and email bulletins of breaking news. This report is exclusively available online at www.lexis.com. Subscribe to this report or to the broader Mealey practice area. 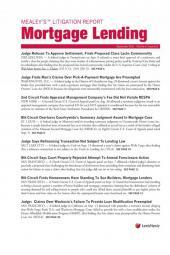 The online version includes case summaries, expert commentaries and electronic files of court documents. You can also have the entire issue delivered directly to your desk. Contact your LexisNexis account representative for details. For more information or to request a complimentary sample of Mealey's Litigation Report - Intellectual Property, please contact your account representative. Advertising opportunities exist - contact Mealeys at 1-800-MEALEYS for rate card information.